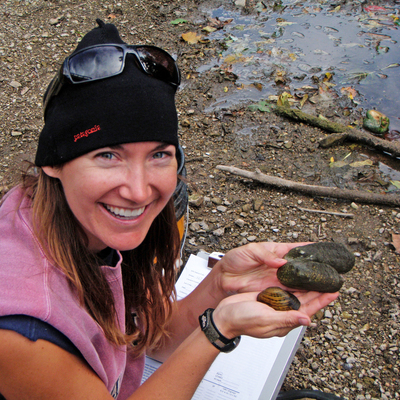 Sarah works with amazing, little known creatures called freshwater mussels. 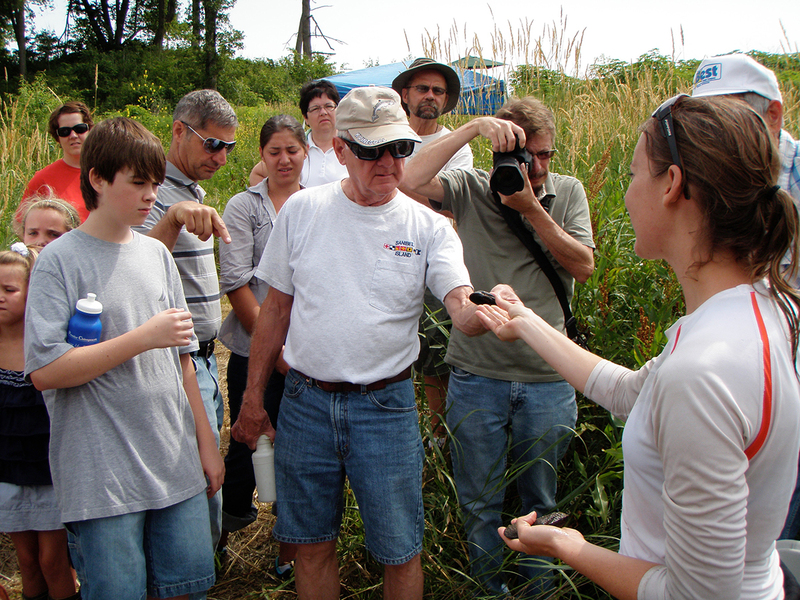 Sarah Douglass earned a bachelor’s degree in Biology from Hanover College and a master’s degree in Environmental Science from Taylor University. After becoming become acquainted with the wonderful world under the water, she went on to study freshwater mussels. 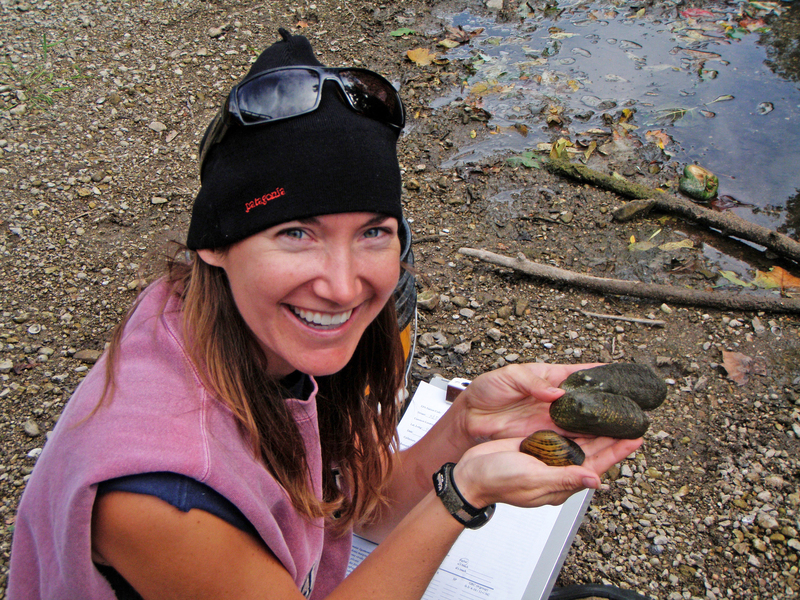 Sarah joined the Illinois Natural History Survey (INHS) as a mussel field biologist in 2008. 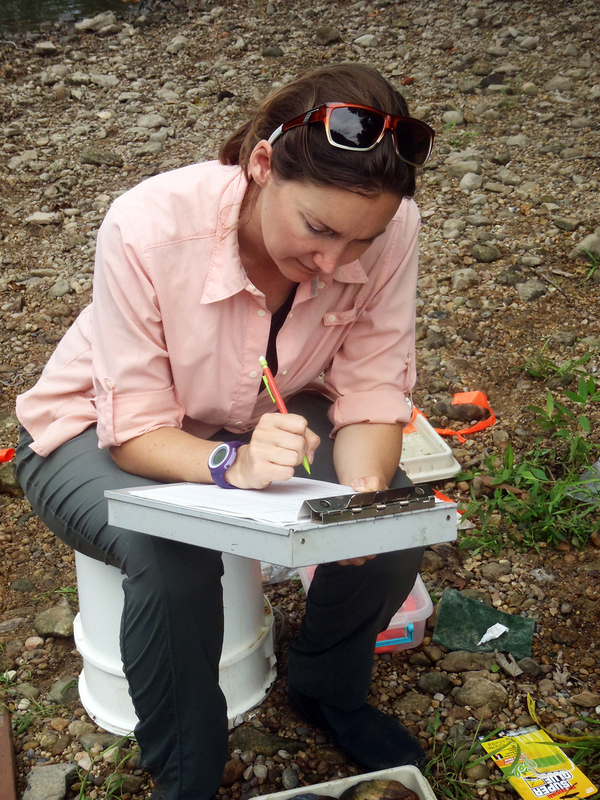 She currently conducts mussel surveys for the Illinois Toll Highway Authority under INHS's Urban Biotic Assessment Program. A. I’ve been interested in the natural world since I can remember. Growing up for part of my childhood on a farm and being able to traipse through the woods on my grandparents’ farm throughout my child- and adulthood fostered my initial love of the outdoors. My junior high and high school science teachers fueled my interest in science, especially the program they led called “Science Travels Club” that I had the privilege to participate in. One particular event greatly inspired me to be a naturalist—travelling to Costa Rica with the Science Travel Club, and reading E.O. Wilson’s Naturalist by my own ambition during that trip. A. My high school science teacher, Mr. Jones, was a great influence. Also, my former boss at the Indiana Department of Natural Resources hired me as an aquatic field technician with no previous aquatic experience. He was an excellent resource to learn from and become acquainted with the wonderful world under the water. I gained the necessary skills to become proficient in identifying freshwater mussels and (some) fishes thereby leading me to a full-time position with INHS. A. I get to be outside and in rivers! I work with an amazing, little known creature—the freshwater mussel. 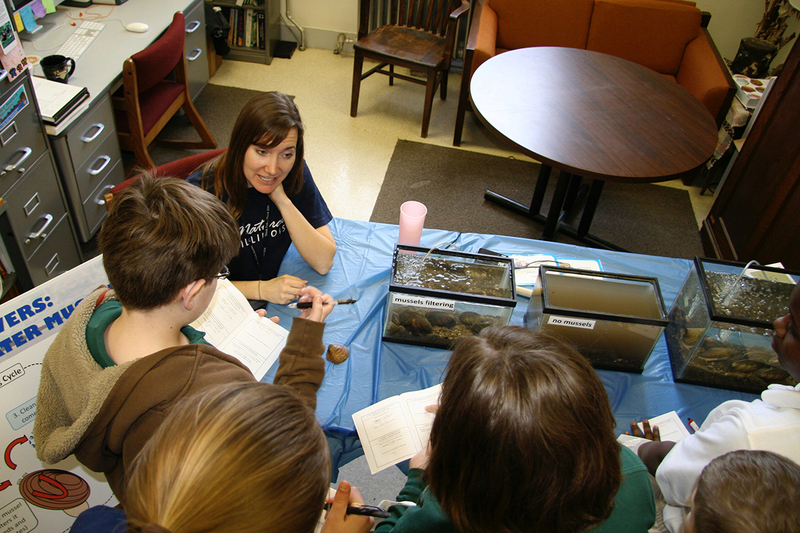 Another favorite part of my job is getting to share with the public about the importance of freshwater mussels and our various research efforts. I have had the privilege of working with fantastic colleagues on fun mussel-related collaborations that vary in scope. We have collected new information, asked interesting research questions, and helped be of service to our contractors, the public, and the state of Illinois. 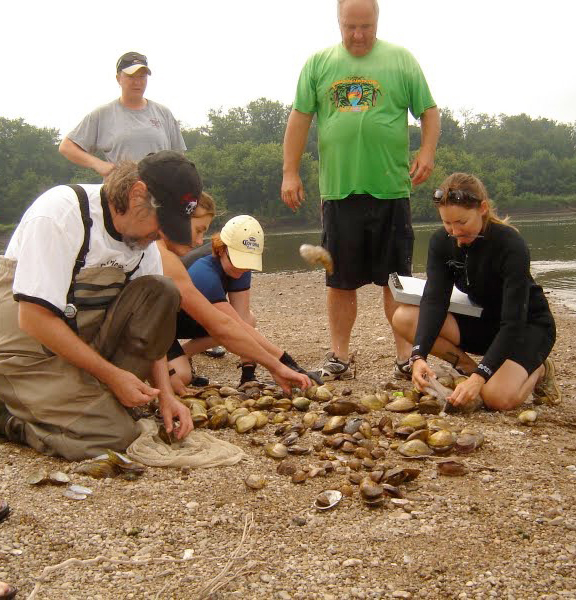 We have many more interesting and pertinent research questions that I hope continue to inform the state and public on conservation efforts for freshwater mussels. A. You can do it! Pursue a path and keep finding others if a door closes, you may not end up studying or doing what you initially thought, but it can turn out to be equally (or more so) fulfilling and enjoyable. I highly recommend working with freshwater mussels! Study the obscure, little known creatures or questions. They are still important. Who knows where that research could lead or of its importance? Talk with folks in that profession, or find an internship in the field you are interested in to discern if that is something you desire to pursue.